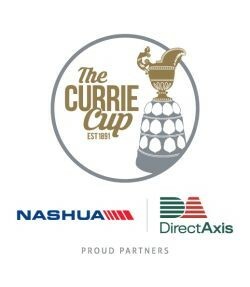 The Toyota Free State Cheetahs on Tuesday retained their spot in the 2019 Currie Cup Premier Division as they defeated First Division champions, the SWD Eagles, by 36-5 in a promotion / relegation match in Bloemfontein. The Free Staters scored three tries in the first half – one of which was a penalty try after overpowering the visitors from George in an attacking scrum – to build up an encouraging 19-0 lead, and they added another three as the match progressed to seal the emphatic victory to retain their status in the Currie Cup, sponsored by DirectAxis Financial Services and Nashua. The opening 10 minutes of the clash were slow as the teams battled to build momentum, but the Toyota Free State Cheetahs earned the first points in the 12th minute compliments of a penalty try, after which SWD lost Mzufukile Sofisa to a yellow card. The hosts took advantage of this and scored two tries within two minutes compliments of Rabz Maxwane and Tian Schoeman, which handed them a 19-0 lead. The SWD Eagles were restored to 15 men soon after, and they managed to contain the home side on defence for the remainder of the half. But they were left wanting on attack as mistakes at crucial times denied them from building momentum on attack except for an encourage string on phases in the dying minutes of the first half. The Toyota Free State Cheetahs continued to use their opportunities in the second half, with Louis Fouche scoring their fourth try in the 60th minute after a sniping run by Rudy Paige, while William Small-Smith added back-to-back tries after cutting through the defensive line to touch down and then gathering a smart pass from Paige for his second. The visitors tried hard to make their presence felt on attack, but they only earned five points for their efforts compliments of an intercept try by Vuyo Mbotho in the 61st minute, as errors continued to haunt them close to the tryline. 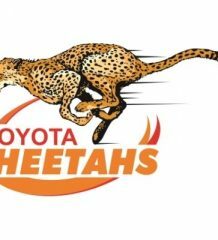 Toyota Free State Cheetahs – Tries: Penalty Try, Rabz Maxwane, Tian Schoeman, Louis Fouche, William Small-Smith (2). Conversions: Louis Fouche (2). SWD Eagles – Try: Vuyo Mbotho.